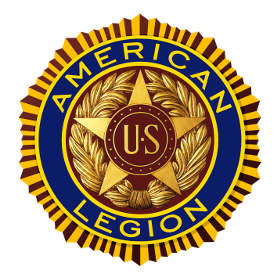 Concerned about veterans homelessness, American Legion takes to the streets of L.A.
"Sharon Helman is apparently a person without shame," said Michael D. Helm, national commander of The American Legion. "She presided over a scandalous system in Phoenix, linked to the deaths of many patients, yet she fought to recover a bonus that never should have been hers in the first place. Instead of chasing after money, Helman ought to be chasing down every family who lost loved ones on her watch – and apologizing to them for her dereliction of duty." ATTORNEY GENERALIRS Tax Scams & Tax-Related ID Theft.pdf Questions? The Motown East Zone has openings for 4 full-time Route Sales Associate positions in the Southgate location. The online applicant system will be turned on at 10:00 AM Monday, March 16, 2015 and will close once we have 60 applicants. All applicants must apply on line at www.fritolayemployment.com. Advise your client group to enter zip code 48195 to access available positions, following the prompts. Individuals who wish to request a reasonable accommodation will find a link, as well as a phone number on the fritolayemployment website. Further information, job descriptions and process are detailed on the website. If you have any questions, please contact Brian Tokarz at 586-276-4106 or 734-374-8377.